Widely hailed as one of the world's top road trips, the Causeway Coastal Route is an astounding adventure from Belfast to Derry~Londonderry. Hugging the north Antrim coastline, this magnificent route amps up the drama thanks to pulse-racing epics such as the Carrick-a-Rede Rope Bridge and the Giant's Causeway, and moments of sheer beauty with vast sandy beaches, gorse-covered valleys and charming fishing villages. Don't miss it. 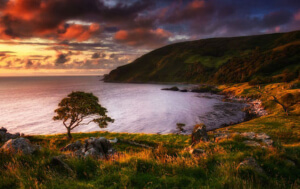 The Causeway Coastal Route takes in the Glens of Antrim as it winds its way along the north Antrim coast, but to get the most out of these deep green glens, we'd suggest you go slowly. 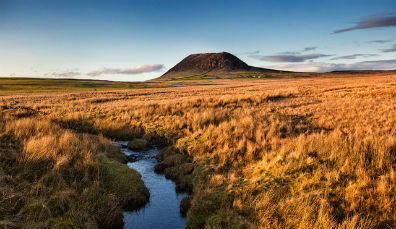 There are nine glens in total, rich with legend, dotted with great little villages and famous for their festivals. 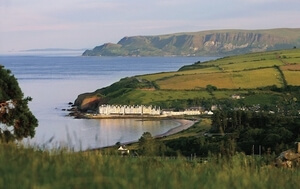 Take in the stunning estate at Glenarm, see the wild beauty of Glenariff and enjoy music in the village of Cushendall. Loughareema, near Ballycastle, is a mysterious vanishing lake where the waters can disappear within a few hours. Belfast's streets are lined with some of the most exciting places to eat on the island of Ireland, from the Michelin-starred delights of Ox and Eipic to the food mecca of St George's Market. Get the inside track on the city's food scene – the folks at Taste and Tour will bring you through a smorgasbord of Belfast's top tastes on the award-winning Belfast Food Tour, with visits to producers, bars, shops and restaurants. Belfast is Titanic Town. 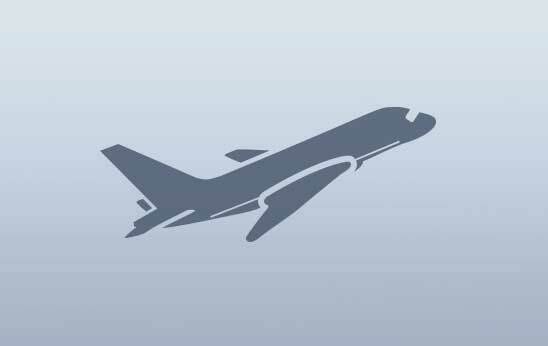 This is the city where the Ship of Dreams was conceived, constructed and launched. And at the very heart of it all is Titanic Belfast, an epic visitor experience that's not to be missed. 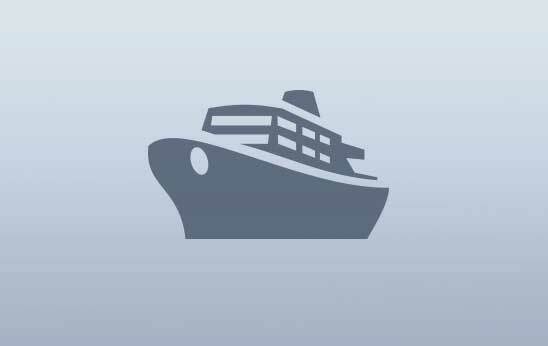 The Titanic Quarter packs in the attractions, too, with the Titanic Dock and Pump-House, Titanic Pilgrimage Walk and the SS Nomadic, the last remaining White Star Line ship in the world. Titanic Belfast stands at the tip of the slipways where Titanic was built and where it was launched into the water. 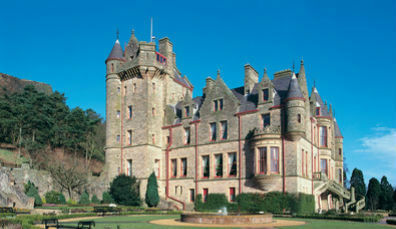 Derry~Londonderry is an enthralling destination with a buzzing scene, vibrant cultural life and compelling history. 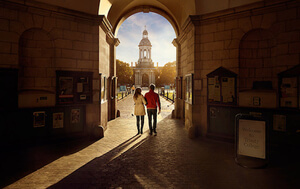 But the city's star attraction has got to be its city walls – majestic structures that date back over 400 years. Walk the ramparts and you can almost hear the echoes of two brutal 17th century sieges that rocked the city. Wrapped around the sea cliffs of County Antrim, the Gobbins is the only guided adventure walk of its kind in Europe. This incredible path snakes over dramatic modern bridges, through smugglers' caves and above crashing waves. A total walk on the wild side. The original Gobbins Path was opened in 1902 and was a considered a real feat of engineering at the time. When it comes to golf in Northern Ireland – think big. The stunning variety of golf here is off the charts with spellbinding backdrops, world-class courses and a very warm welcome. Wondering where to start? Try the famed Royal Portrush, where the Dunluce Links is consistently ranked among the best in the world; opt for Rory McIlroy's favourite, the Royal County Down; or try the verdant beauty of the Lough Erne Resort, with two championship courses designed by Sir Nick Faldo. 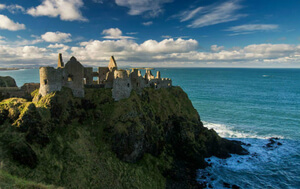 Crumbling castles, ancient landscapes, spellbinding coastal villages – the landscapes of Northern Ireland have provided Game of Thrones® with the scenic backdrops for some of their most memorable moments. From the twisted beauty of the Dark Hedges, an avenue of serpentine beach trees, to the mysterious charm of the Tollymore Forest Park, step into real-world Westeros. 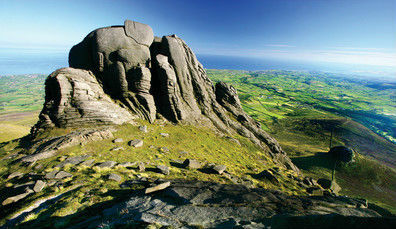 Northern Ireland is home to more Seven Kingdoms locations than anywhere else in the world. With haunting, indigo-coloured peaks, heather-flecked hills and the magnificent Silent Valley, the Mourne Mountains are justifiably described as among the most beautiful places in Northern Ireland. Take a short stroll along the Annalong Coastal Path (2.5 kilometres) or challenge yourself with the Mourne Way (41 kilometres); enjoy great food in the Mourne Seafood Bar; or discover the wild side of the Mournes with the Castlewellan and Rostrevor Mountain Bike Trails. Northern Ireland's landscapes are famous for their wild, rugged drama, but the Fermanagh Lakelands offers a flip side to all that craggy charm. Tranquil, swathed in a blanket of green and speckled with placid waters, the Fermanagh Lakelands is a watery paradise. Island-hop by kayak or canoe, go cruising along the waterways, or get on your bike to enjoy the area's famously slow pace of life. County Fermanagh has a grand total of 154 islands, some with ancient relics such as the 2,000-year-old White Island stone figures. Discover more of Northern Ireland's incredible attractions. Discover the magic that lives in these legendery mountains. Find out about St Patrick's fascinating links with Northern Ireland.